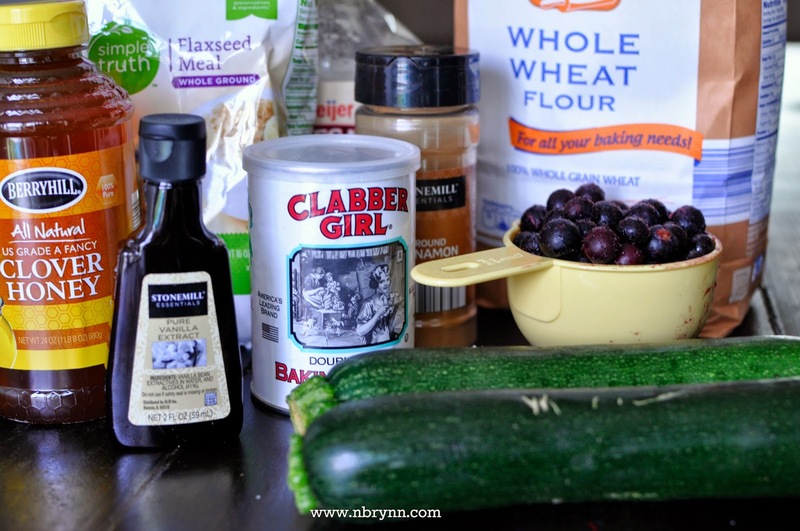 Several weeks ago, our family made a rather drastic dietary change. After years of listening to nutritional information and food research from friends and family much more mindful about what they were putting into their bodies than us, I finally got interested in making some intentional choices for our own family. As I researched and read, watched and conversed, I became increasingly convinced that a Plant-Based Diet was the most wholesome, healthiest way to eat. And so, we went from being the family that had gobs of sweets piled high on dessert tables at an event, mac 'n cheese for lunch and pizza for dinner, to a family whose daily consumption is focused primarily on fruits, vegetables & nuts. I have tried dozens of new recipes in the past several weeks, re-learning what it means to feed our family. Some recipes have worked & many have needed lots of tweaking before their flavor and their content was just right. Today, I'm excited to share what I would consider to be one of my first true successes in vegan baking. 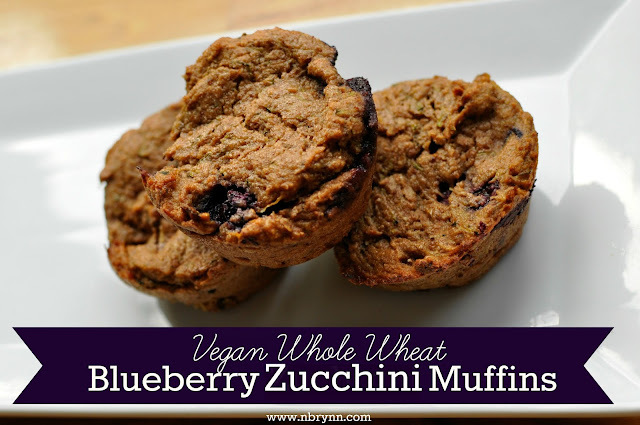 These Vegan Whole Wheat Blueberry Zucchini Muffins are delicious, nutritious and filling. 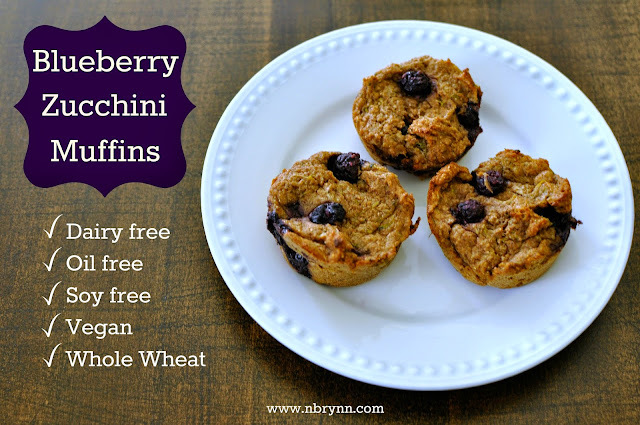 A perfect breakfast on-the-go or afternoon snack! If you're new to vegan baking, flaxseed meal is probably not an ingredient you keep stocked in your pantry. It was a new discovery for me as well, but now it's a staple. Why? Because 1 Tbs of flaxseed meal whisked together with 2 Tbs of water magically turns into a gel-like substance that acts as a perfect egg replacement! Now, ready for those yummy muffins?! 1) Preheat oven to 350 F and grease muffin pan. 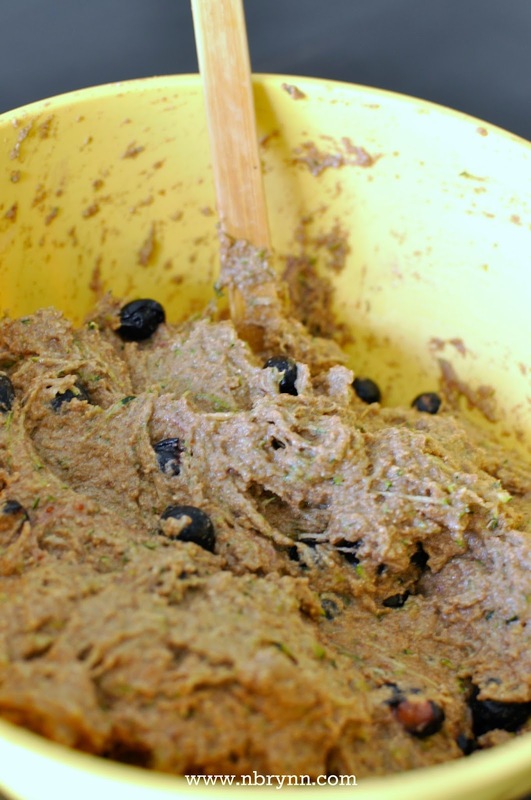 2) Thoroughly whisk together your flax meal and water. Set aside for about ten minutes. It should form a gel-like substance that will act as your egg replacement. 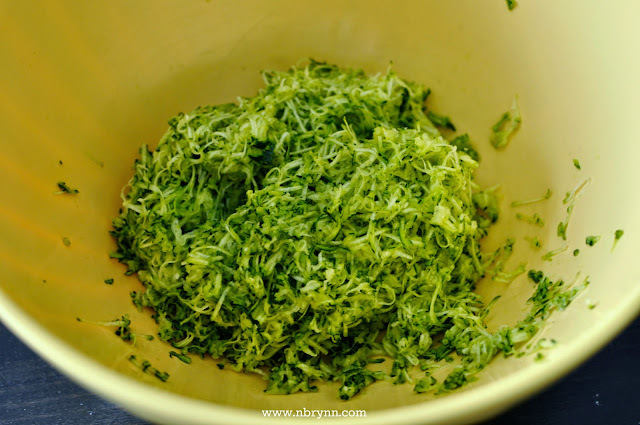 3) While flax meal mixture is setting, finely grate your zucchini. Use a paper towel to sponge away a majority of the excess moisture. Too much extra zucchini juice will equal very gooey muffin insides! 4) Combine all wet ingredients, including flax mixture and zucchini, mixing thoroughly. 5) In a separate bowl, combine all dry ingredients, mixing thoroughly. 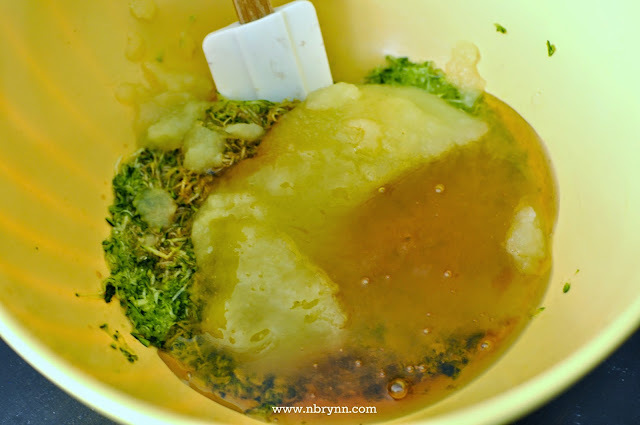 6) Mix dry and wet ingredients until well combined. Your mixture will be quite thick & dense. 7) Fold in frozen blueberries. 8) Fill muffin cups 3/4 of the way full or so (these will not rise much at all while baking), then bake at 350 F for 30-35 minutes. Tops should be golden brown and insides dry when "toothpick tested". 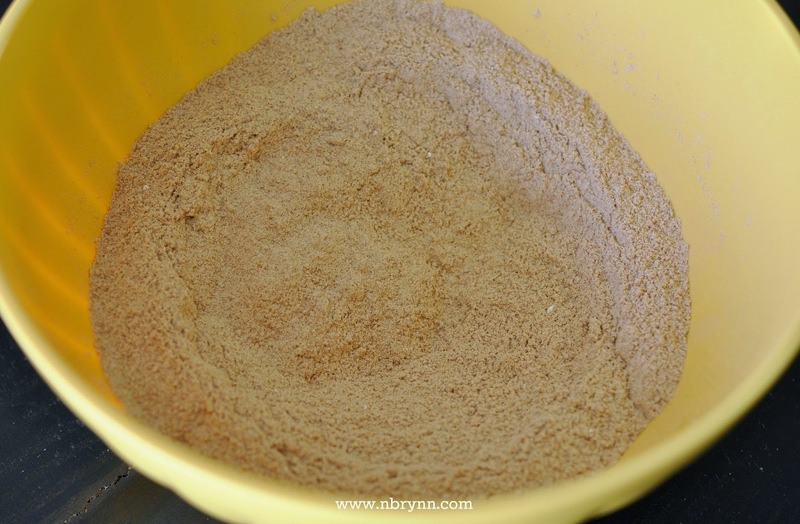 A few more tips: I've tried this batter in bread-form and it doesn't work as well. The insides have a hard time baking through. These are great for freezing, though! I tend to freeze half my batch each time I bake these.